Size: 2" x 12" x 12" (approx) ; Noise Reduction: 80-90%; Color: Charcoal For decorative purposes, may be placed side by side with wedges, pyramids, eggcrates and bass traps. 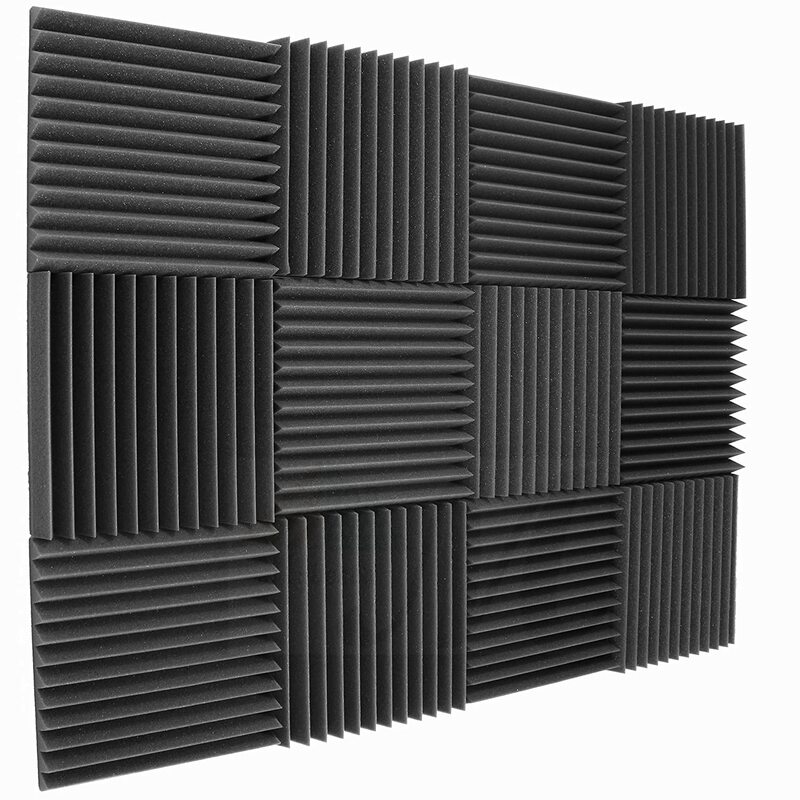 Eliminates Standing Waves And Flutter Echoes ; Reduces Unwanted Reflections; Reduces Unwanted Reflections Good for studios, recording studios, vocal booths, control rooms. Product Care: Occasional Vacuuming of Dust MYBECCA ACOUSTIC FOAMS (wedges, eggcrates, pyramids, bevels & triangles) are effective sound deadener for standing waves and flutter echoes, especially when used with ACOUSTIC CORNER BASS TRAPS. It also reduces slap-back and room ring when used in medium-sized areas like isolation booths, recording booths, control rooms, and sound studios. :: With its straight-cut sides, these Acoustic Foams can easily be arranged side by side on a flat surface area (walls). ::: FOR DECORATIVE PURPOSES, wedges, eggcrates and pyramids can also be arranged side-by-side with the acoustic bass traps, corner bass traps triamp and other bass acoustic foam. 12 Pack Acoustic Foam Studio Soundproofing Foam Tiles Hexagon 6" X 6" X 1"